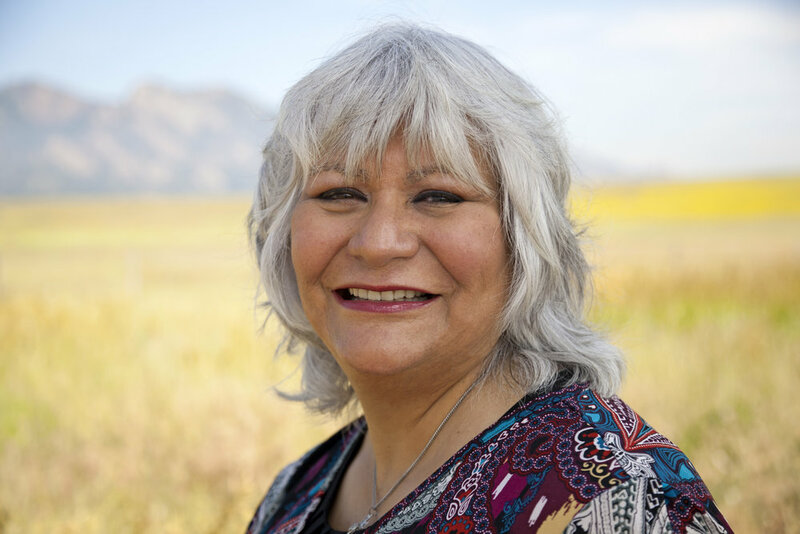 Li Brookens is a licensed clinical social worker (LCSW), certified group psychotherapist (CGP), and clinical hypnotherapist providing psychotherapy for individuals, couples, and groups in Boulder, Colorado. Li has advanced skills in working with LGBTQ+ identities, young adults, and groups. Li works collaboratively with clients weaving together modern psychodynamic theory and postmodern therapy using a social justice lens that centers on marginalized identities. "I believe that each client I work with has an inner knowing that is seeking to be uncovered. I see my job as helping my clients excavate that knowledge so they can empower themselves to make meaningful changes in their lives." Nicole M. Garcia (she/her/hers) is an an out and proud transgender Latina. She has a Master of Arts in Counseling from CU Denver, is a Nationally Certified Counselor, and is a Licensed Professional Counselor in the State of Colorado (LPC.0014519). Nicole is also a candidate for Ordained Ministry in the Evangelical Lutheran Church in America. Nicole was awarded a Master of Divinity on May 20, 2018 from Luther Seminary in St. Paul MN. A Contemplative Psychotherapist with a passion for political theology, social justice and mindfulness practices, Lisa is committed to developing the skills and awareness needed to support individuals and foster healthy communities. As a recent graduate of Naropa University, Lisa worked with LGBTQIA+ teens and young adults as an intern for OASOS, a department of Boulder County Public Health. While there, Lisa saw how the issues a client brings to therapy are compounded by, or rooted in, environmental and social factors. As a Registered Psychotherapist, Lisa's belief is that healing happens in community. "My job is to help people realize their full potential. I am qualified to do so only to the extent to which I understand that to be true of myself." Griffin is a trained dance/movement therapist with a degree in Somatic Counseling. Leaning on their training, Griffin utilizes a holistic approach to providing psychotherapeutic services to individuals, various relationship configurations, and groups. By gently bringing attention to internal sensations, feelings, and thoughts, clients are able to turn towards their most genuine, creative, empowered and resilient selves. Through a client-centered, trauma-informed, social justice lens, Griffin also takes into account the larger systems at play in regards to each client's identity development and intersectionality. Because of this, Griffin stays curious about how power, privilege, and oppression influence each client's day-to-day life. Griffin has worked with LGBTQIA+ folx of all ages, especially teens and young adults, in various capacities throughout Boulder County for the past 5 years. Claudia has been working as a psychotherapist in Boulder since 2007. Her psychotherapeutic approach includes identifying and strengthening patterns that have been working well and finding alternate approaches to entrenched patterns and narratives that haven’t been resulting in the desired outcomes. Sessions are geared toward tailoring tools to alleviate suffering, decrease conflict and expand joy in life outside of the therapy room. Claudia’s approach also incorporates psychoeducation around topics such as attachment, systems theory, and neuropsychology to allow for a deeper understanding of how the therapeutic process impacts the mind and the body. Claudia enjoys working with individuals, partners, and families and those who identify as part of the LGBTQIAP+ community. Cristina is a licensed professional counselor candidate (LPCC). She has dedicated her life to the exploration, the experience and the honoring of intersecting identities. She grew up in multilingual and multicultural spaces. Cristina is fluent in English, Spanish and Portuguese. She brings this experience of nuance and complexity to her life and to her work as a psychotherapist. She has a master’s in Clinical Counseling and Depth Psychology from Pacifica Graduate Institute. Her undergraduate studies are in Anthropology. She is rooted in psychodynamic, Jungian, social justice, intersectional, earth based and somatic practices.